In case you have not heard by now, the Yankees are still in first place and they refuse to give it up. They took on the Royals this week and took two out of three games against them. They are currently two games clear in first place, but some issues are coming up during their games which may lead to their eventual downfall. The first big hole will get another chance to fix itself tonight when Masahiro Tanaka will take on the Oakland Athletics tonight. Tanaka,who is believed to be the ace of the Yankees, has really struggled this season and needs a good start tonight. Tanaka is among the worst pitchers in the American League, and he needs to have a great season from here on out if the Yankees want to dream about adding banner number 28. There have been rumors that, Tanaa is injured and his partially torn UCL is acting up again, if he struggles again tonight, the Bombers should shut him down and bring up Chance Adams or Chad Green. If he is hurt then it is in the best interest of the Yanks for him to rehab in Tampa Bay at their minor league facilities. He is making his biggest start of the season tonight and I have no idea which way it will go, it could either be a start like he had in Boston, when he shut down the Red Sox, or his last few starts where he really struggled. Another hole that is evident with the Yankees is their offense. I am aware that they have one of the best offenses in baseball and they have the third best run differential but they are extremely reliable on the home run. Majority of their runs come via the aerial route, and at some point their hitters are going to go into a slump. Chase Headley and Starlin Castro had great starts to the season and it looks like they are cooling off, especially Headley, who is in a really bad slump. Castro is still among the best hitters in baseball, but his average has dropped 30 points in the last week. Aaron Judge, who was on pace to be the AL MVP this season, has also cooled off a little, but is still playing better than expectations. Didi and Brett Gardner are currently carrying the offense with their hot streaks, hopefully some other hitters get hot as Didi and Gardy cool off. The offense is not really an issue yet, but if they become too reliant on the home run, it will become a major issue later on the season, when the long ball stops going that long. 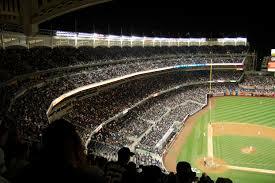 The Yankees take on the lowly Oakland Athletics at home this weekend. This three-game series ends their Hope Week home stand, in which they always better than usual. They need to win this weekend’s series against the Athletics before facing some familiar opponents next weekend. They have a couple of series on the road against divisional opponents coming up next weekend, which makes this weekend’s series very important. I think they will win at least two out of three this weekend against the rebuilding A’s.